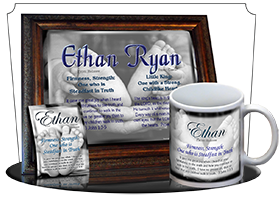 A strikingly handsome choice for our personalized coffee mugs! 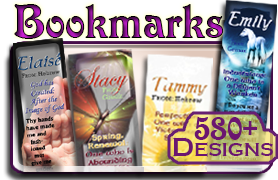 Inspire someone with the meaning of their name beneath the wing of a soaring eagle, or amidst the watchful eyes of white hawks on the seashore. 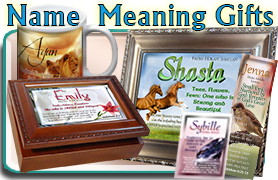 You can also add a personal message to the back of your personalized name meaning coffee mug. 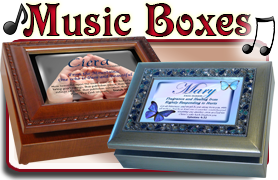 Be sure to check out the personalized name meaning music boxes too! 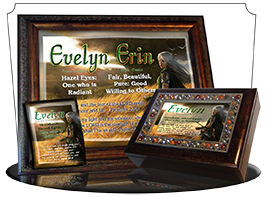 One of the songs available is "On Eagle's Wings", and sounds great with these beautiful Eagle designs! 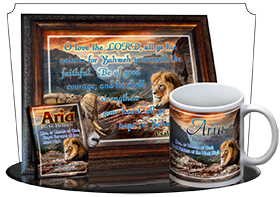 A bald eagle takes to flight in the background of this Christian name meaning mug, while a close-up profile of another bald eagle diligently watches over the name, origin, meaning and verse on this personalized coffee mug! 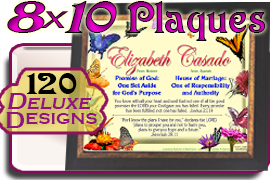 Add a pocket card so the recipient can carry the encouragement with him for years to come. An elegant font displays the name in a deep royal blue with a glowing outline. A dove flutters in the breeze, accenting this name meaning against the blue sky. 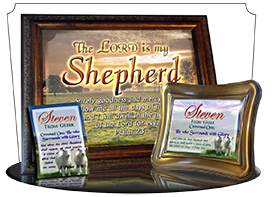 The name, origin and Bible verse are shown in blue. A great choice for a personalized coffee mug! Doves fly through the blue sky in on this peaceful name coffee mug. 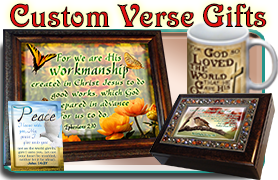 Personalize with a name and meaning and verse! This classic eagle design has been one of our most popular for name meaning coffee mugs! 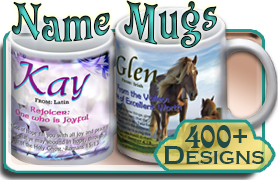 Personalize your mug with any name, and we'll carefully research the origin, meaning and verse! 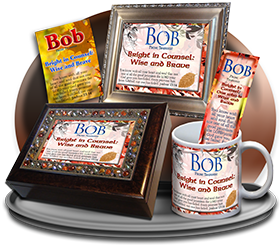 A red sky accents the even deeper reds of the name and meaning on this personalized mug. 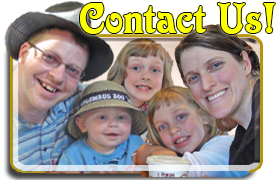 The fonts have aged edging, and are quite readable next to the golden eagle. 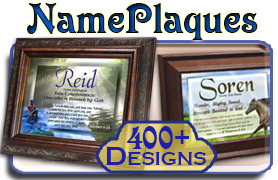 The deep blue name against the white backdrop of doves and sky is a lovely choice for a name meaning coffee mug. Stormy blue skies roll in while this Golden Eagle watches diligently over the name meaning on this personalized coffee mug. God watches over the little birds. 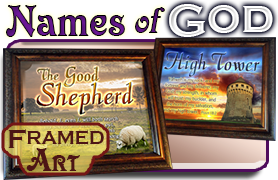 Remind someone how attentively God watches over them with a country scene on a coffee mug, personalized with a name, origin, meaning and verse. White hawks soar through the crisp air. 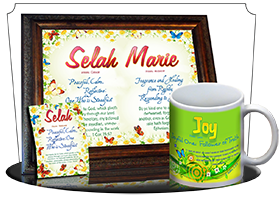 Personalize this name meaning coffee mug with any name! 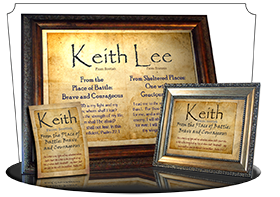 We'll include the origin, carefully researched meaning & life meaning, and hand-pick a scripture verse that connects with the meaning of the name. Wings spread, eyes focused. 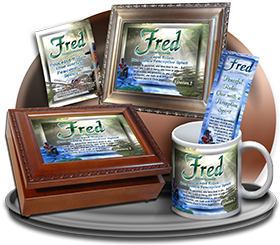 This soaring eagle paints a dramatic scene for this personalized name meaning coffee mug. I chose this design for my father-in-law's birthday gift. And even though he's a quiet fellow, he has mentioned several times how much he appreciates the personalized mug, the meaning and the eagle! Swift wings and a sharp focus make this eagle photo perfect for a masculine coffee mug design. 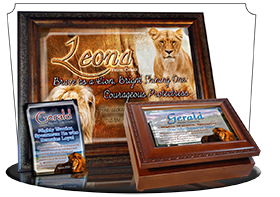 Encourage your man with the meaning of his name, boldly displayed beside this shrewd eagle.